Can We Expect the Health Care System in the USA to Become Less Damaging to the Economy? We have had over 20 years of health care costs going up more than inflation – every year. That is an amazing (and horrifyingly bad) record. We need very strong evidence to conclude we can even just reduce the increase in damage done year after year by the broken health care system. Getting to the point where we actually start reducing the increased damage done each year is a big leap from where we are (reducing the acceleration of damage [reducing from hugely above inflation to largely above inflation is better than not doing that but hardly a good sign – it is still worse than the year before, just the increase in badness is less than the increase in badness from the previous year). Health care is so bad I often see people try to look at data and see that the rate of getting worse is declining and seeing that as a positive sign. Things are still getting worse. And they are already extremely bad. I really can’t see arguing for things getting worse more slowly as being something we should be happy with. Even just making tiny improvements (given how bad we have let things get over the decades is not good enough). We need to actually reduce spending on health care. Certainly, the absolutely least we can expect is increasing less than inflation (that is an extremely low expectation – though one the health care system has failed at for decades). We shouldn’t accept such horrible performance. Once we actually can start making things better year after year (not just reducing the acceleration of badness) we likely have decades before we can reduce the enormous drain the USA health care system puts on all of us living here to a level that is just average for rich countries. There are pockets of good things being done in health care but so so so much more is needed. Further, at mid-year in 2011, our costs per employee are tracking about even with 2010 numbers. That raises the possibility of a 2012 with no premium increases for employees. It will be the 6th time in nine years with no premium increase. •	Emergency room visits were 71 per 1000 lives, or 38% of average. Serigraph people use the ER room only in a real emergency. •	Inpatient surgeries were 51 vs. 80 average per 1000. •	Radiology scans totaled 775 vs. 1300. •	Claims related to poor lifestyle choices were only 3% of our total claims, versus 7.7% for our peers. These strikingly positive numbers are a testimonial to the engagement of the Serigraph workforce in reforming how care is delivered in this country. They are helping to mange this complex issue. Reforms such as a consumer-driven plan, on-site primary care, finding the best centers of value and transparency on prices and quality are making a difference, a huge difference. We still have a lot of innovation to do. For instance, we decided recently to go after depression, the second most costly chronic disease in the work place. Few companies, if any, have an enlightened managerial effort on that front. 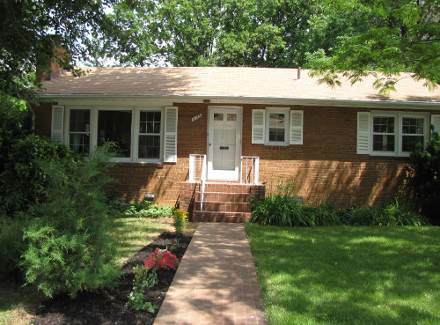 I am renting my house in Arlington, Virginia. If you are interested here is a great house with a large yard in a wonderful, quiet neighborhood near the Washington DC metro, great restaurants, parks, shopping and more. See more pictures of the house and floorplans. The USA has extremely poor broadband service (compared to other rich countries). It is slow and expensive. Those that support economic policies more in line with the USA than other nations have a great deal of explaining to do about why the options are so bad. It is similar to the broken health care system. Those that support politicians leading to this state for broadband say they support “free markets.” In actuality, they support anti-competitive practices by extremely large companies (oligopolistic behavior). Free market theory (the original form) requires that no individual company can dictate to the market. You have free competition – no barrier to entry, no restraint on entry, customers can buy where they want… But the politicians we elect instead support policies and practices that restrain free trade and prohibit good solutions in order to benefit those that pay the politicians well. And then we vote for those politicians. Those wanting the anti-competitive markets have won in our political system. The main thing I wish was clearer was that we stop pretending these people have some capitalist leaning. They are anti-capitalist. If they want to support the policies they do I wish they would be required by the voters to at least be honest. Unfortunately the voters elect them with their dis-honest representations. If the politicians were honest they would have a more difficult time being elected (because voters want to pretend they like capitalism even while voting for politicians that just seek to give special benefits to those that pay the politicians. And then the politicians claim to support markets, and business and consumers when really they just favor making anti-market legislation and regulation to favor their contributors. As long as we vote for people that claim to support capitalism but undermine it at every step to help their friends we do deserve to suffer. I just wish we could convince enough of our fellow citizens that flashy propaganda and repeating lies over and over isn’t the same as facts and truth. Where I live in Chicago, Comcast’s 105Mbps service goes for a whopping $199.95 (“premium installation” and cable modem not included). Which is why it was so refreshing to see the scrappy California ISP Sonic.net this week roll out its new 1Gbps, fiber-to-the-home service… for $69.99 a month. Given the anti-competitive policies in the USA, if they have much success they will probably just be bought (or maybe as others suggest fought in other anti-competitive ways, but buyouts are normally easiest for actually strong competitor) to allow anti-competitive pricing and service to continue. The only real hope is someone with actual power sees it in their interest to fight against the entrenched interests. Google is the best hope I think. It isn’t that Google has nearly as much political power as those interests but they are smart and have the advantage of just having to expose the anti-competitive behavior and apply pressure. The narrative the politicians and voters say they support is capitalism. But the reality is just those with the gold make the rules. But when this is made obvious and continually pressed by someone with power, clout, intelligence and political savvy it makes politicians and regulators hesitant to continue business as usual. Normally they just delay for a few months and then continue the corrupt practices. Google, plus others, plus lots of individual interest can fight that off – but it takes perseverance.